Marty has written several best-selling books, such as Learned Optimism, Authentic Happiness and Character Strengths and Virtues, the latter co-written with Christopher Peterson. More recently he has focused on the idea of flourishing. Marty says he spent the first part of his psychological career studying misery. Moving on from treating ‘learned helplessness’, he studied people who were optimistic. What did they do right to live fulfilling lives? He passed over a threshold after being elected president of the American Psychological Association. Marty was asked to pick the themes he wanted to work on during his Presidency. After a period of reflection, he chose to focus on positive psychology. In his book Authentic Happiness Marty described three kinds of lives that people could lead. Here is a brief overview. So what is the magic combination? Looking at it empirically, says Marty, the fulfilling life appears to be: The Meaningful Life + The Good Life + some aspects of The Pleasant Life. In that order. Marty has always maintained that there is more to life than happiness, so in 2012 he published Flourish. Here is an excerpt from the summary of the book which you can find via the following link. 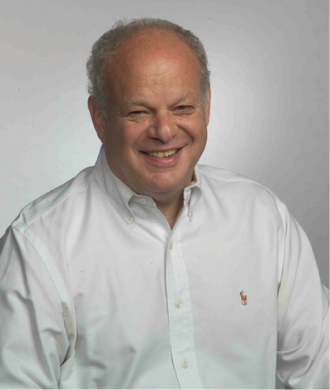 Flourish builds on Dr. Seligman’s game-changing work on optimism, motivation, and character to show how to get the most out of life, unveiling an electrifying new theory of what makes a good life – for individuals, for communities, and for nations. While certainly a part of well-being, happiness alone doesn’t give life meaning. Seligman now asks, What is it that enables you to cultivate your talents, to build deep, lasting relationships with others, to feel pleasure, and to contribute meaningfully to the world? In a word, what is it that allows you to flourish? “Well-being” takes the stage front and center, and Happiness (or Positive Emotion) becomes one of the five pillars of Positive Psychology, along with Engagement, Relationships, Meaning, and Accomplishment – or PERMA, the permanent building blocks for a life of profound fulfillment. In the video below Marty outlines the PERMA approach to enabling people to flourish. You can discover more about his life and work via his biography page at the University of Pennsylvania.